A super DUPER quick post before I go to work! !- This is for the PDC #141 challenge. 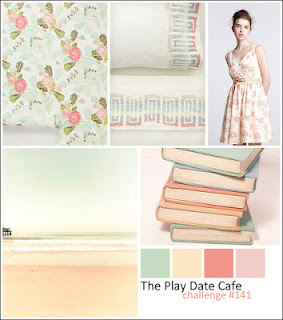 Here's the theme colours; Mint, soft yellow, coral and Tulip.